Join us as Spencer from Funky Buddha will be in The Haus talking about some cool new beers and try 1-2 of their staple beers. Want to get a sweet Funky Buddha glass? Be sure to drink two pints and then you'll receive a complimentary pint glass! PS, this will be the right after the 4th of July so patriotic attire is highly encouraged! Join CrossFit Electric City and Growler Haus on Saturday, June 30th as we host the 2nd annual Barbells and Beer competition in beautiful downtown Anderson, SC at the Carolina Wren Park. Join us as Spencer from Ballast Point will be in The Haus talking about some cool new beers and try 1-2 of their staple beers. Want to get a sweet Ballast Point glass? Be sure to drink two pints and then you'll receive a complimentary pint glass! PS, this will be the Summer Solstice so be sure to bring your shades out as we shine all night long! The time has come again for us to honor you, our Tribe Members! We will have food catered into The Haus by Jimmy Johns and there will be some exclusive special things for you as Tribe Members to enjoy - maybe even some swag! So come out Saturday from 11-2 while we grill out, drink, chat, and share great Tribe Memories with one another in a semi-private environment. Plus ones are welcome and as always, may receive your discounts. Bring your significant other or maybe a friend you want to introduce to the tribe! Enjoy yourself with a cold beer and Pistol Hill! Hillbillies and Guitar tour 2018 kicks off this May! Pistol Hill and Justin Clyde hit the road In a unique display of songwriting and paying tribute to those who made country music, country. Take in a night of song swapping between a Traditional Pistol Hill and an Americana/Honky Tonkin' Justin Clyde in a tour based around intimate settings and pure honest takes on the each artists Backgrounds. Dont Miss This! David from Advintage is coming into the shop to let us sample several different wines in combination with some tasty cheese and meats. We wanted to be sure this event is special. So come join us as we taste wine, eat yummy cheese and meats, and listen to your feedback. You know em, you love em. 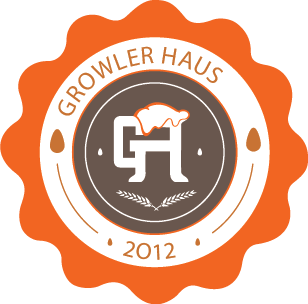 Bring your growler in on Saturdays and get 10% off all growler fills. If you purchase one of ours, we'll give you 15% off your fill! We've already reached our first Tribe Appreciation Party! To drink with the GH staff! Yes, this event is on a SUNDAY! Live music with Pistol Hill at The Haus! Live music with The Greg Knight Band and Joe Hedl at The Haus! St. Patricks BBQ and Beers! St. Patricks Day sadly only comes once per year, but that means we go EXTRA hard! Hidden gold coins - find them to win Prizes!